Fast-packing just got even faster. Weighing in at just 320g with a lower 4mm drop and X-PROTEC this is a more responsive version of our popular waterproof boot with enhanced protection for tackling all adventures over any type of terrain imaginable. 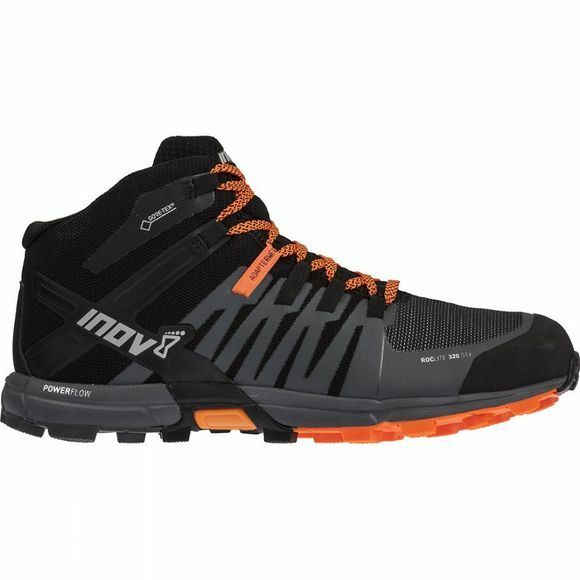 For running across all types of terrains worldwide. 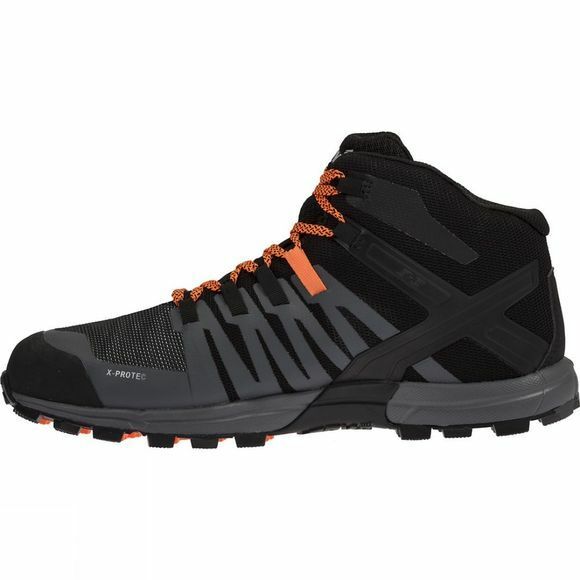 Superior traction: Next generation ROCLITE outsole is the most versatile on the market. Using three sticky rubber compounds on the outsole increases grip and durability. The hardest, most durable rubber is on the heel, with a medium rubber up the centre for increased traction and a softer rubber on the edges for grip and security with every stride. Superior traction II: Multi-directional, claw-shaped cleats, each with a wide contact area, providing unrivalled grip over unpredictable terrain and quick release of any debris. Cushioned ride: Powerflow midsole delivers 10% better shock absorption and 15% better energy return than standard midsoles. Stay protected: Renowned Kevlar technology is used on our new X-PROTEC upper, delivering the ultimate in protection and durability, while the reinforced hybrid tongue stops all debris from entering the shoe. Move in comfort: GORE-TEX product technology works to deliver protection from the elements and optimum climate comfort for your feet. Get more support: External Heel Cage wraps around the rear of the shoe and provides support in the heel. Delivering this extra hold aids foot stability and helps a fatigued runner maintain a better gait. Get the perfect fit: Built around the natural anatomy of the foot, the ADAPTERWEB met-cradle adapts to the natural movement and swelling of the foot in motion.